Care worker Elisa Willcox is set to undergo one of the most challenging experiences of her professional career. Elisa, 43, is spending two days (June 15) as a person with severe disabilities on a ward in a specially simulated lab in Zeeland in the Netherlands. She will stay in role for the duration of the programme and experience what it is like to be helped to eat, washed and taken to the bathroom. Elisa will be a service user with cerebral palsy, moderate learning difficulties, epilepsy and who is non-verbal. “This is going to be one of the most demanding things I’ve ever done,” said Elisa, who works for independent care provider Regard. 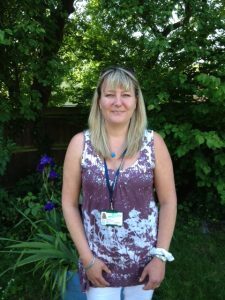 “I’m hoping to come away with a greater understanding of what it’s like to be a person with learning difficulties, totally dependent on support staff. Elisa, who left a job in the insurance sector four years ago to work in the care industry, will report back to Regard’s service managers. The ‘sTimul’ care-ethics project is led by KAHO Sint-Lieven University, Belgium, working with organisations including Partners in Care, Dorset. Care workers from across Europe will be participating in the operation in two fully-equipped simulated care homes, one in the Netherlands and the other in Moorsele, in Belgium. Regard provides support for people with learning disabilities, mental health conditions or acquired brain injury in 111 services across the UK. Find out more at www.regard.co.uk. Be the first to comment on "Changing places for Elisa"